Posted August 26, 2018 7:44 am & filed under Cactus, Cactus Jungle, Photography. 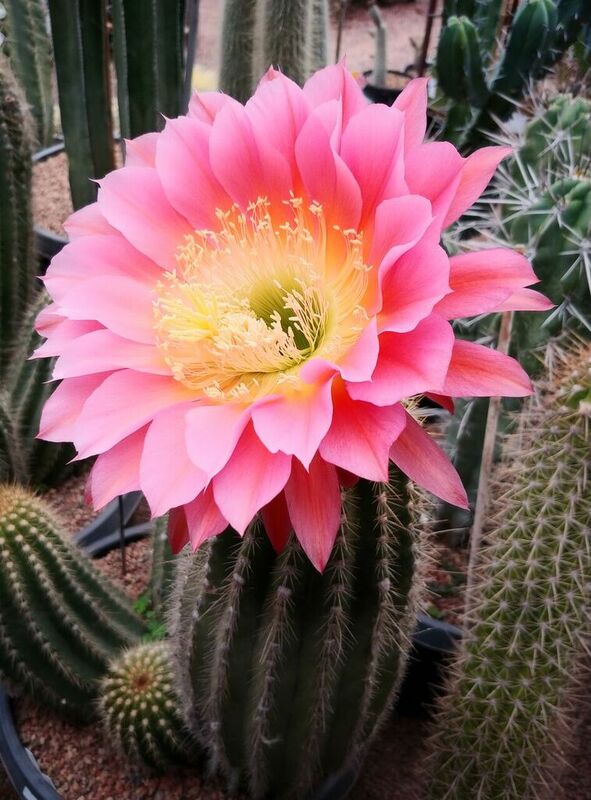 A late blooming Echinopsis grandiflora hybrid that we like to call “Tropical Pink”. Nice!